“Buy once, cry once” is a common saying in the prepper community. This saying implies that if you buy the good quality gear you won’t have to buy it again. However, it’s not always that easy. Preparedness and survival gear are flooding the shopping markets right now. There are hundreds if not thousands of companies to choose from. On top of that, you have to watch out for knock off products as well. It can be challenging to find quality gear that you can afford on a budget. Not a lot of us can afford to spend thousands of dollars for prepper gear. 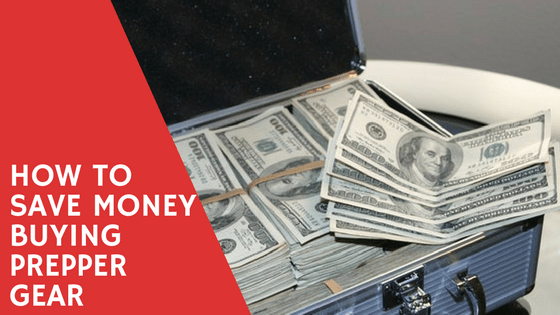 So in this post, I wanted to share some ways on how to save money buying prepper gear. Before you begin purchasing gear and supplies you need to put together a strategic plan first. Buying prepper gear and supplies without a plan will cause you to be partially prepared in many areas instead of being fully prepared in the important areas. This will also cause you to spend money on items that aren’t necessary. In some previous posts, I discussed how to put together a strategic plan but I talk about it more in depth in The Strategic Prepper eBook. As a quick overview, you will want to first conduct a threat assessment. This will help you to identify the most severe and likely threats that you will face. On the Smart Prepper Gear blog, I typically do reviews of prepper gear that I purchase off of Amazon. Although I have the Smart Prepper Gear Store I am still addicted to Amazon. However, I don’t just use Amazon for prepper gear but for so much more. Amazon has some great tools that you can use to save money. One way is through Amazon’s budget category. For example, you can search Google for “survival gear under $25 on Amazon” which will take you HERE. They also have categories for survival gear from $25 to $50 and survival gear from $50 to $100. So you can find gear that fits your budget easily. The Amazon wish lists are another great tool that Amazon provides to help save you money. If you find gear or supplies that you can’t afford at the moment then you can add them to your wish list. Then when that item goes on sale or what they call “lightning deal” then you will be notified via email and through their app. One final way to save money on Amazon is to sign up for Amazon Prime. Now, this is only for Amazon junkies like myself. I purchase stuff off of Amazon on a weekly basis. So like I said, shipping fees can really add up. eBates is a really great option that many don’t know about. I think most people are turned off by their corny TV commercials. However, I have had success with eBates on getting money back and actually EARNING money. I do a lot of my shopping online for a lot of things, not just prepper gear. Technology has made shopping easier and faster. My mind is always thinking about how much time I am spending. I don’t really like going to malls and stores to spend hours to rumble through their inventory to find something good. This can take a few hours sometimes and still not get what I was looking for. So I do most of my shopping online where I am guaranteed to find what I need. Since I do most of my shopping online it only made sense to use eBates to save money. eBates is basically a store aggregated of thousands of other stores. They have all of the major stores that everyone shops at including Amazon, eBay, Macy’s, etc. You can even find survival stores like Battlbox on there as well. If you use the eBates website to shop with these stores they will provide you cash back. Sometimes this cash back is up to 40% of the product price. They also provide you with a browser extension that you can use in the case that you shop outside of the eBates. You will still be eligible for cash back. Surprisingly you can find tons of books on preparedness along with gear and supplies. 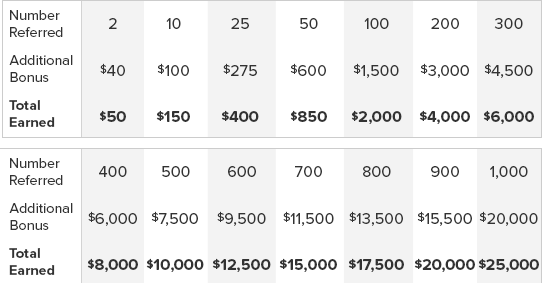 As I mentioned, you can even get cash back on a subscription of Battlbox. If you do any shopping online it doesn’t hurt to use eBates to earn cash back. The Smart Prepper Gear store is stocked with high-quality prepper gear that I personally source and review. Some of the gear I actually use myself. Other products are those that have been highly reviewed. Prepping can be expensive. This is why you will receive free shipping on all gear. Shipping costs can really add up if you are frequently buying gear online. For example, I used to spend anywhere from $4 to $10 per order just for shipping through stores like Amazon. You can also use the promotional code SHTF to receive 15% off of the first order. From there we run daily deals where you can find discounts up to the 25% off. One final way to save money through the Smart Prepper Gear store is to add items to your wish list that you can’t exactly afford at the time. This will automatically notify you when the price on that item drops. If you have ever read any of my blogs then you know that I am really anti-credit everything. I don’t advise people to pick up credit cards. The government and economy use debt to keep us enslaved. As preppers, we should strive to be self-sufficient. However, I do take advantage of credit cards with reward points. If you don’t really have self-control with spending money then I wouldn’t advise picking up one. You should only use reward point cards if you have money in your bank at the time of your purchase to cover the transaction. If you don’t then forget about it. But what I typically do is use a Visa rewards cards through Amazon to purchase products not limited to prepper gear. Immediately after making that purchase I go home online to pay off that balance. That way the interest doesn’t accrue. Then I can use those points earned to buy gear or supplies. I have even been able to pick up some silver bullion using rewards points. 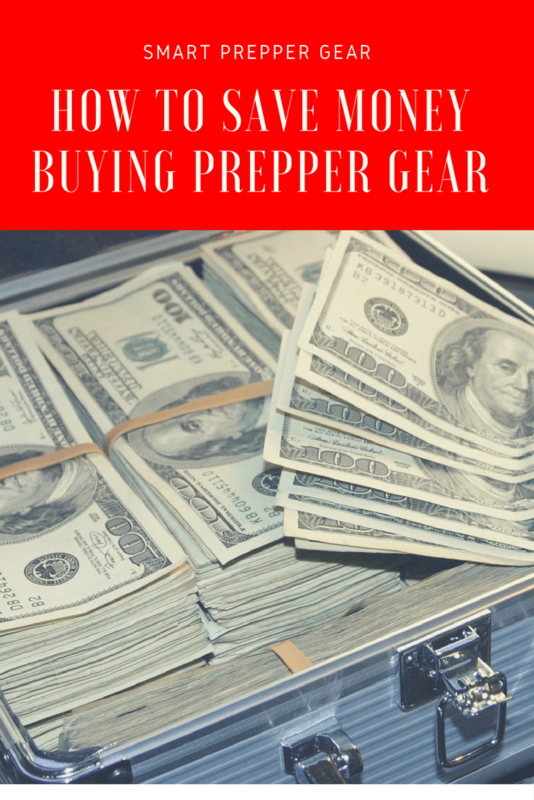 Altogether these would be some of my suggestions on how to save money buying prepper gear. Feel free to leave a comment below if you have any feedback or suggestions. Also, if you would like to speak with me directly or stay up to date on Facebook then leave me a message HERE. Your feedback helps the community prepare the smart way now so that we can thrive later.